Hello there! So this is a really late post! Today, I am going to share my pages for the Get Messy Art Journal Challenge. This month's prompt was: Grateful. There was an art and a journal challenge and we had to incorporate gratitude in both of the challenges. The art challenge was to use visual examples for at least three things you're grateful for. 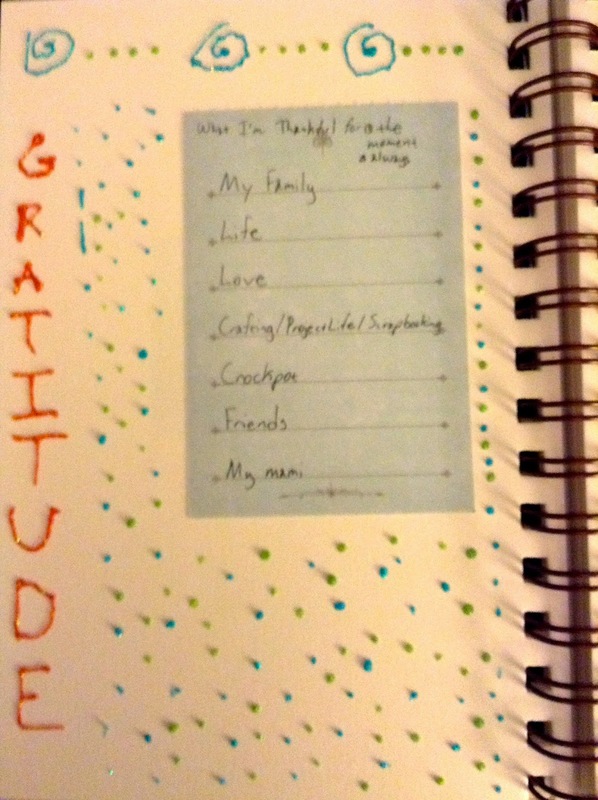 The journaling challenge: What are you grateful for? What aspects of your life are you thankful for, that you might be overlooking while being busy? I had some bad lighting when I took these pictures, but they look so much better in person. I loved using some glitter glue and stickers this week. The doodles and letters didn't come out perfect, but I love the colors. I have been using up a lot of my stash up in my art journal and in other projects so that I don't keep buying new things. I'm really glad that I purchased those stickers. I have been hoarding them and just waiting for the perfect project to use them on. Hello there! It's Tuesday and it's time for another Currently List. Watching: I am so glad that there were no people on that rocket/aircraft. That was insane to watch. Reading: I read so many blogs, but I have so many books that I need to read. I definitely need to schedule time to start reading all of the unread books that I have. Listening: This song is still awesome and always has me dancing. Making: I am making some projects to submit to a Design Team Call application. It would be nice to get selected to be part of a design team, but it will still be so much fun to make projects. Feeling: I have not been feeling well the past couple of days and I am considering going to the doctor. Planning: I have some prompts that I need to work on in my art journal for Get Messy as well as the weekly challenges by Rukristin. 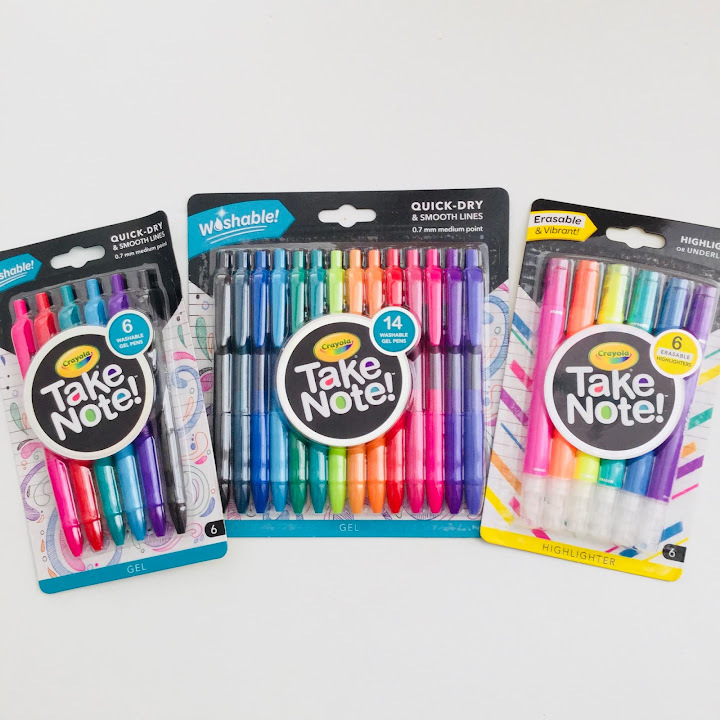 Loving: I just received my Doodlebug Take Note value pack that I purchased from Archivers. I am soooo in love with this kit. I am actually considering purchasing an extra one and maybe a few of the other exclusive kits from Doodlebug as well. I love that they come with so much stuff like 12x12 papers, sticker sheets, Doodlepop stickers, embellishment assortment, washi tape, and sometimes there is a freebie included in the kit! 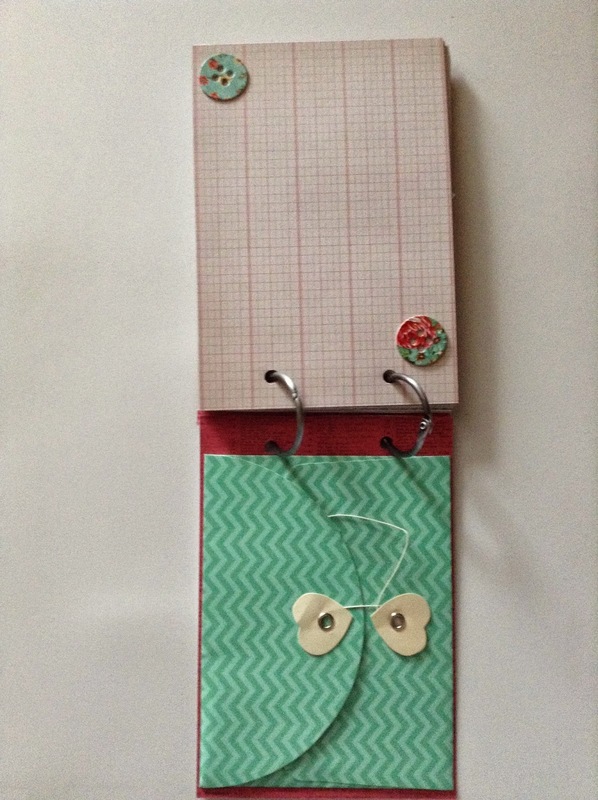 These kits are perfect for making scrapbooking layouts, cards, mini albums, and other projects. Hello! It's been a really busy day today so this is why I'm posting kind of late. After such a busy day, I took a nap and then decided to work in my art journal. 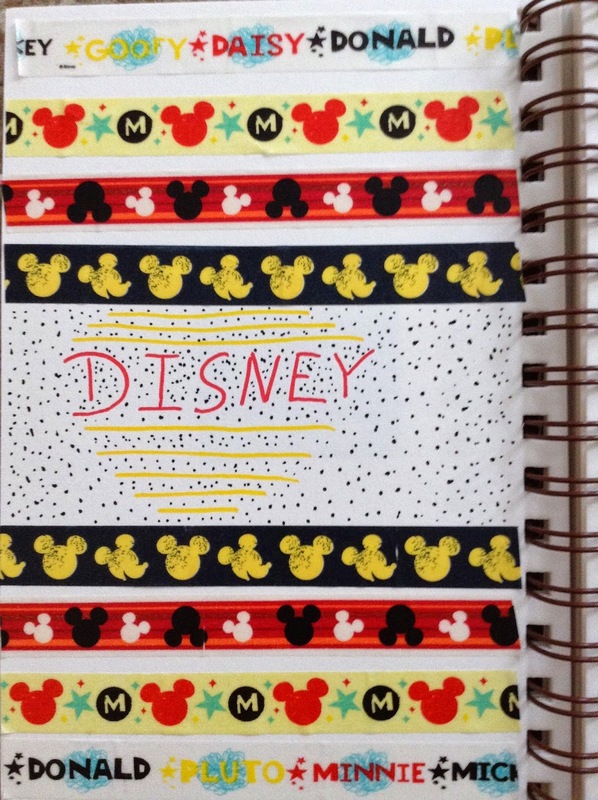 I've been obsessing about Disney lately (the Disney World trip that we took in May definitely has fueled my obsession) so I decided to express that in my art journal. 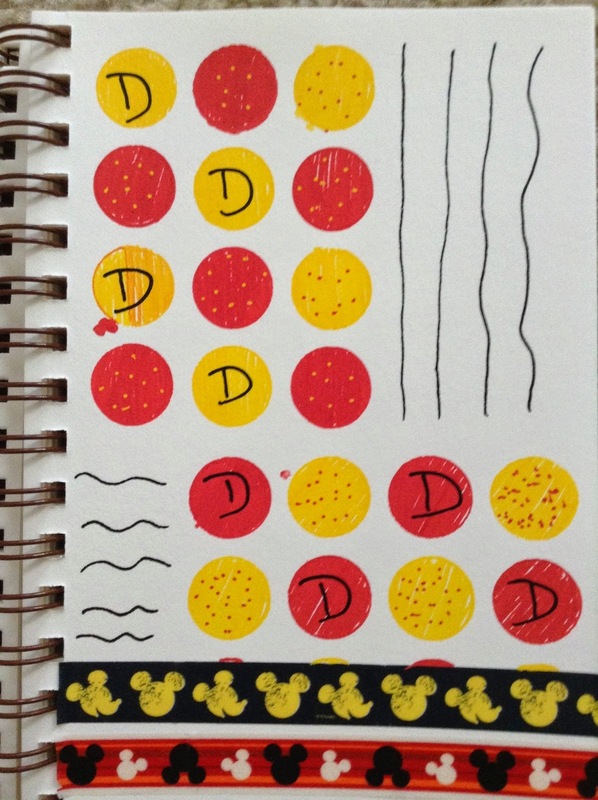 I love, love, love washi tape! 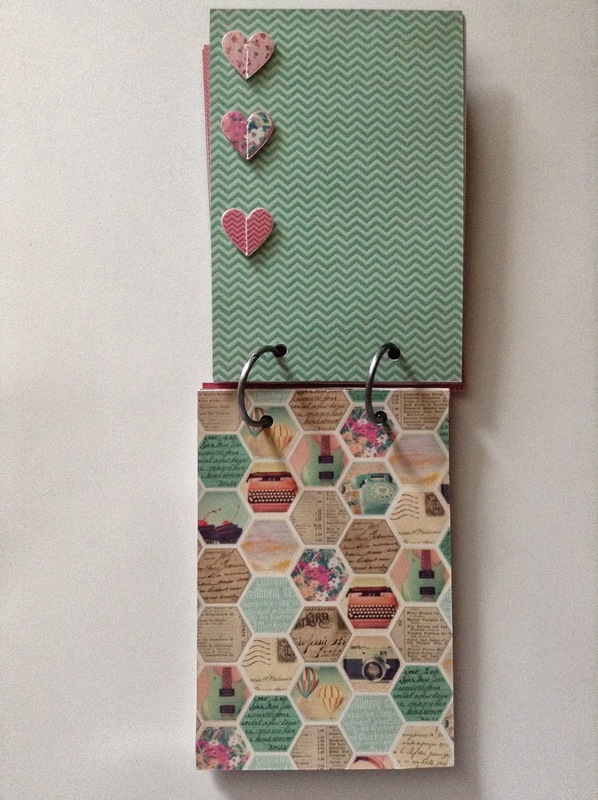 I love how it can make pages pop and how you can just use washi tape to decorate. 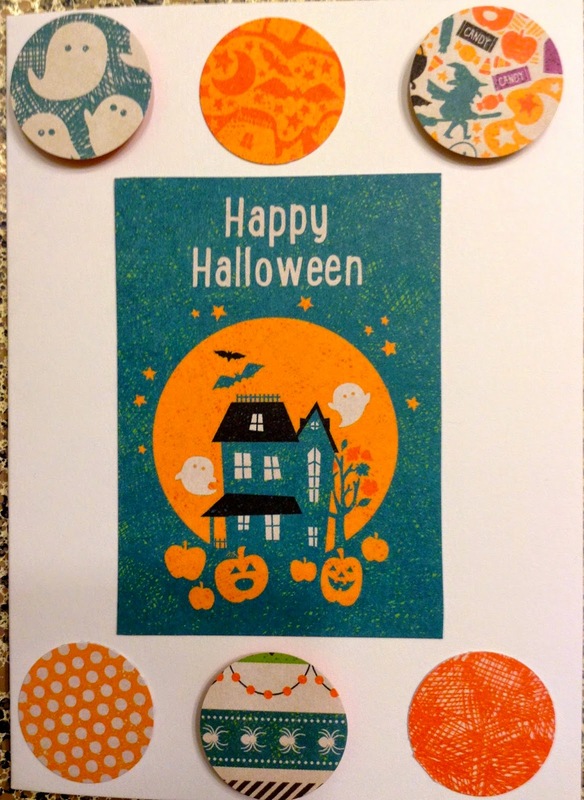 I used a Heidi Swapp stencil from the patterns pack and some more washi tape. I also used some Sharpie paint markers for the first time. I kind of messed up on one of the circles, but it's ok I guess. I just have to remind myself that it doesn't have to be absolutely perfect especially when it's a product that I am using for the first time. Watching: So I needed to catch up on some of the novelas that I watch. I also have to catch up on Sleepy Hollow later today. Listening: This song is still awesome and really catchy. Making: I've been working in my art journal so be sure to look out for a Get Messy post on Thursday. I need to work on some challenges that were made by Rukristin. She has these weekly challenges that are really cool and fun. 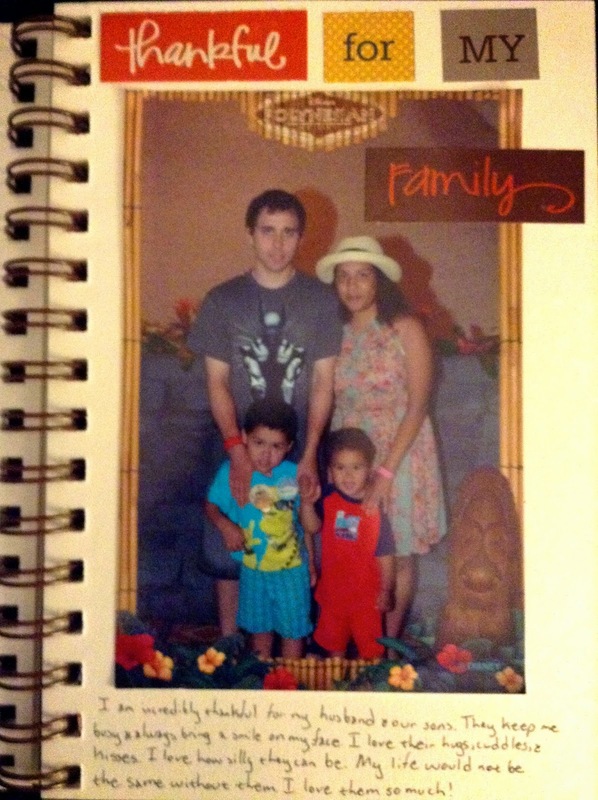 I'm planning on completing some of the challenges in my art journal as well. Feeling: I've been hearing some really good news so I am feeling really hopeful about the possibilities. 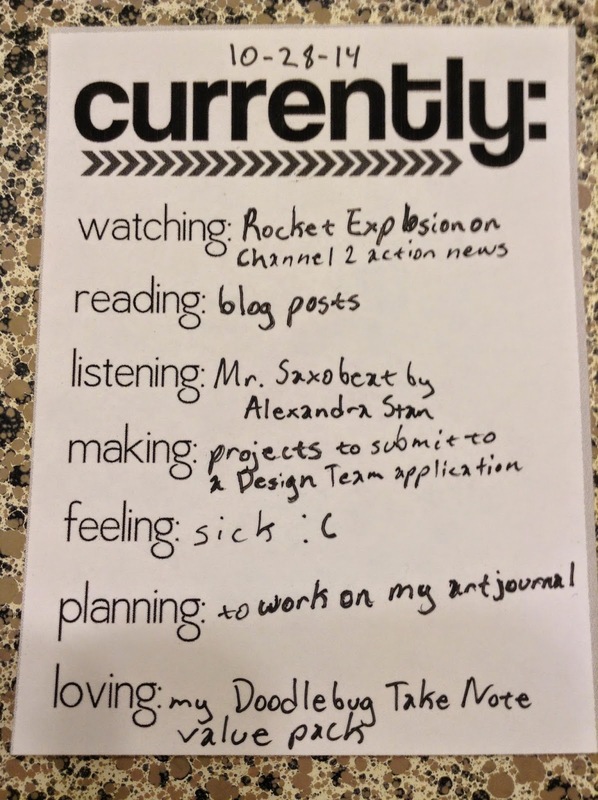 Planning: I recently heard of a Design Team Call and I plan on applying. I'm a little nervous, but at least I will still have some really fun projects. Loving: I'm loving all of the possibilities. I don't want to get too excited in case things don't go as planned, but it's really awesome to hear good news about our goals being close to being accomplished. Hello there! 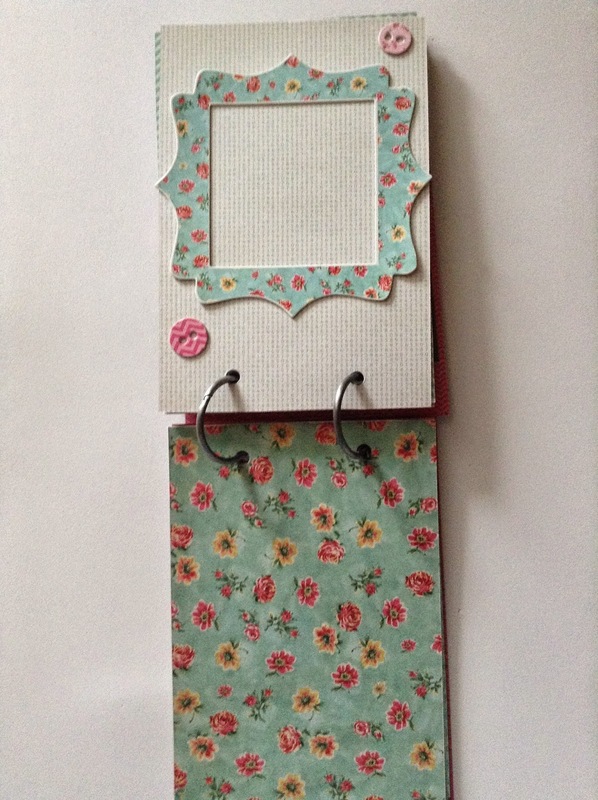 Remember when I posted about the DCWV Vintage Mini Album that I made a few days ago? Well, I also made a card as well. I really like the Vintage Collector and I am so glad that I still have a bunch of the collection left. I could probably make another mini album (or two), lots of cards and even use some of the collection in my Project Life album. I also like that I can use this collection to make Valentine, love, etc. 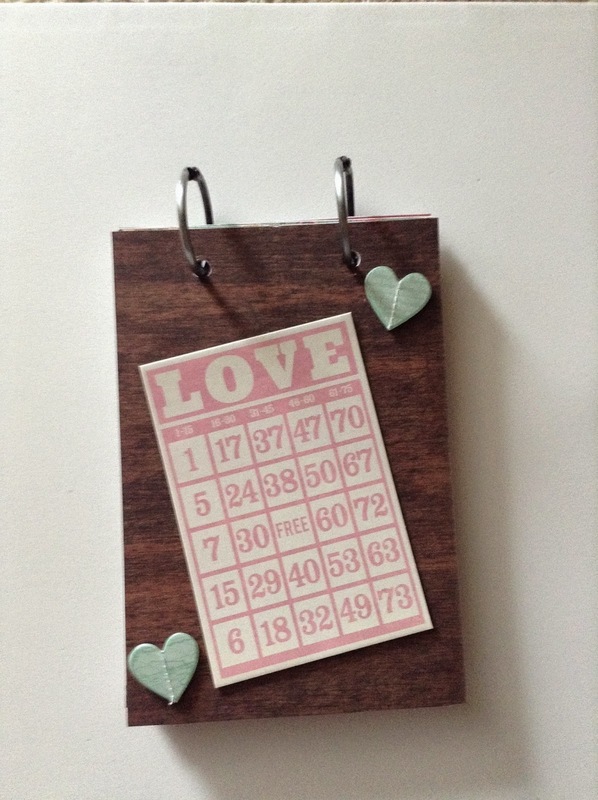 type projects, but I love that there are lots of things that I can use in this collection that is not too "Valentine-y". For instance, I made a vision board for one of the One Little Word prompts using this collection. What have you been creating lately? What do you think of DCWV's Vintage Collector? Hello everyone! So as you know, I LOVE Halloween! It's my favorite holiday and I love making crafts, cards, layouts, etc. so much more during this time of the year. 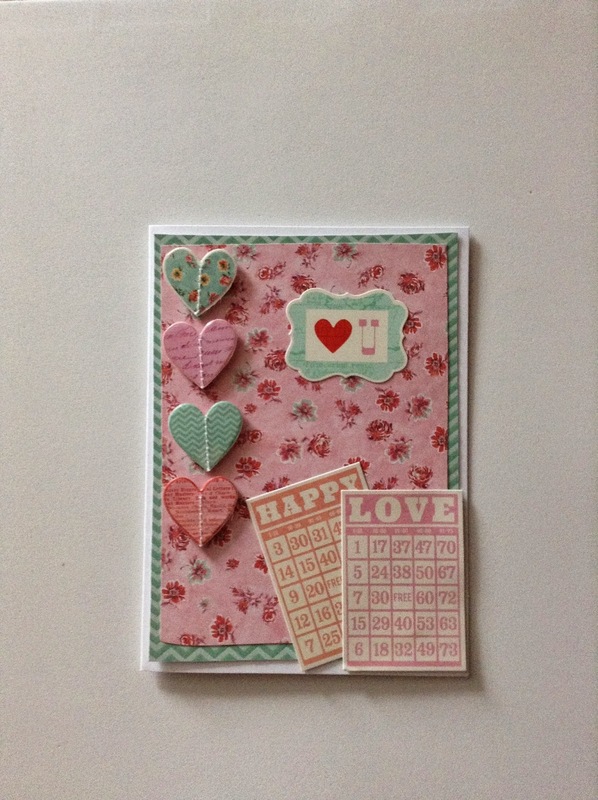 Today I want to share a card that I made using DCWV Eek-a-Boo stack. I seriously love this collection and I have to go back to Jo-Ann and get some more of the collection. I've been in love with incorporating circles and grids in my cards and layouts and decided to make a card using circles. How cute are those ghost and pumpkins? The colors are just amazing! I need to make some more cards and layouts with this collection. I also plan to use some of this collection in my art journal. What have you been creating lately? What do you think of DCWV's Eek-a-Boo collection? Hello! Hello! 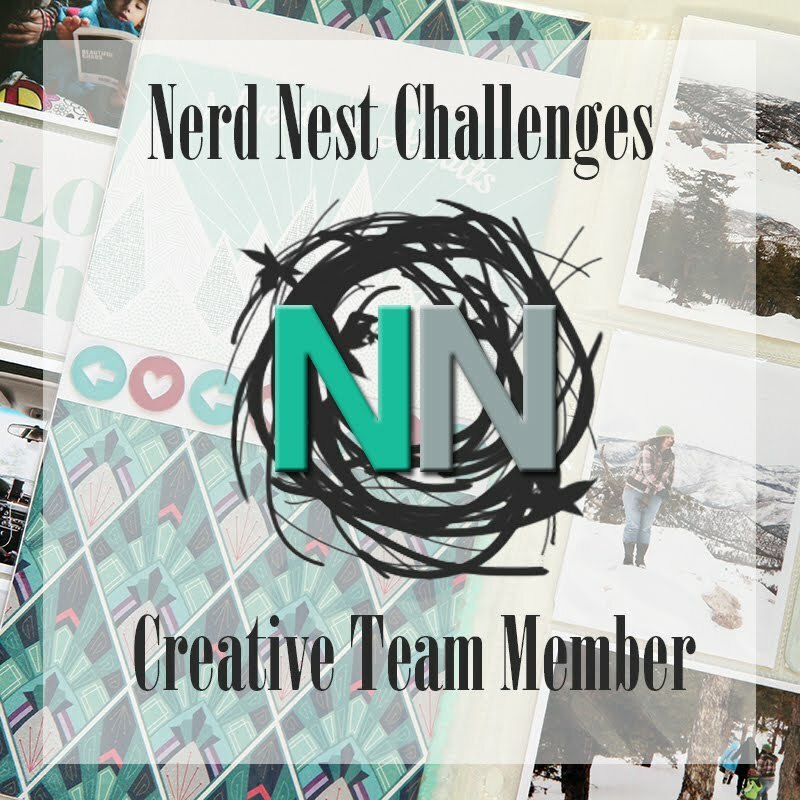 Today I am going to share my first Get Messy Art Journal Challenge. I'm really glad that I found out about this challenge and have signed up to be put on their wait list. This challenge really looks like it will be fun. 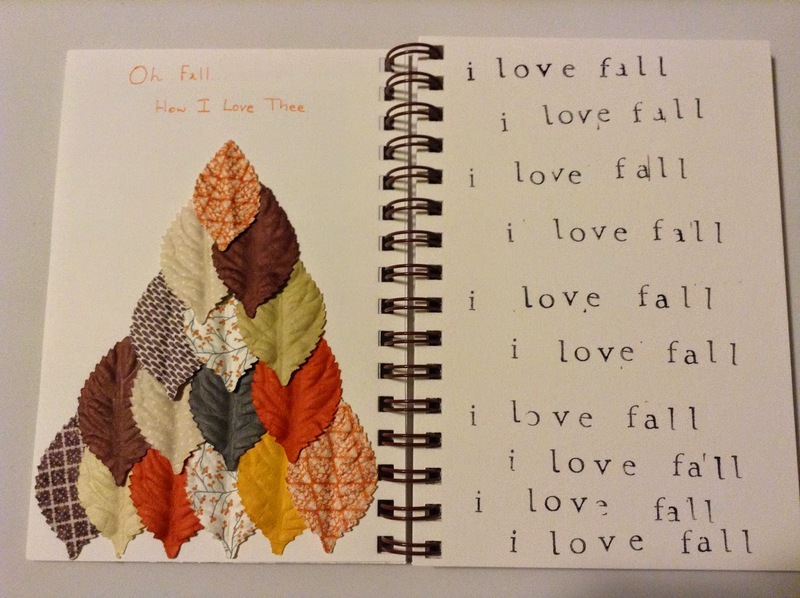 Since Fall is here and I am loving it, I decided to express that in my art journal. I was inspired by Elizabeth Rosemond's post. I have been waiting to use my Recollections leave embellishments for the perfect project and this project was perfect. I simply layered and piled the leaves. 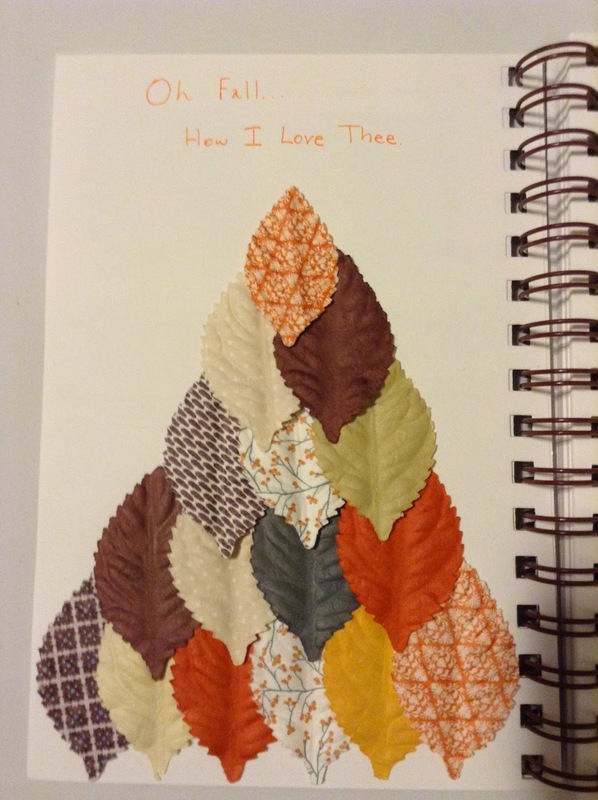 Then I wrote "Oh Fall, How I Love Thee". I love the colors of the leaves and they are just perfect. 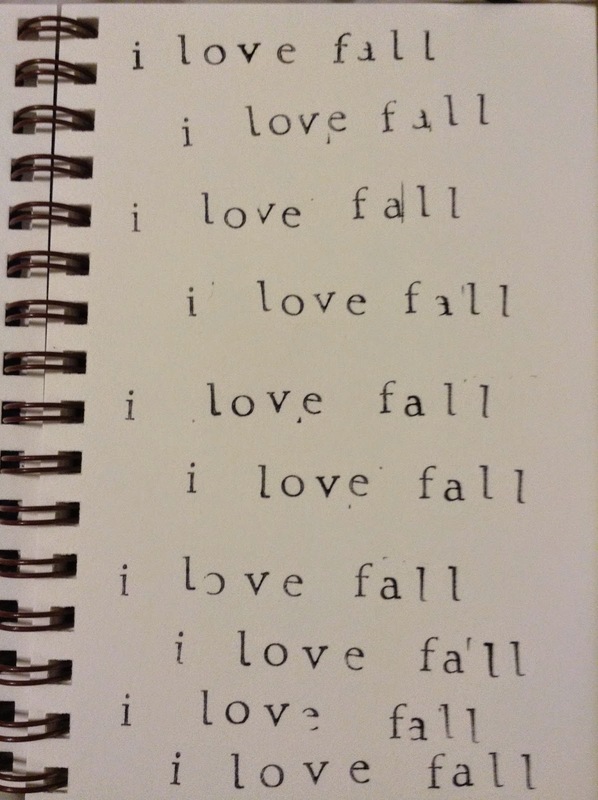 I stamped "i love fall" over and over again. I used some alphabet stamps that I found at Walmart and some ink from Michaels. I usually try to make everything perfect, but decided that I shouldn't worry about perfection in my art journal. What do you do when you have almost an entire collection of scrapbooking goodies that you haven't even touched? Now I know that a lot of people would probably get to work immediately and create lots of different things, but I honestly had no idea what to make with the whole collection. I mean...I knew that I could make a mini album or two, some cards, and layouts, but I just didn't know what to make first. 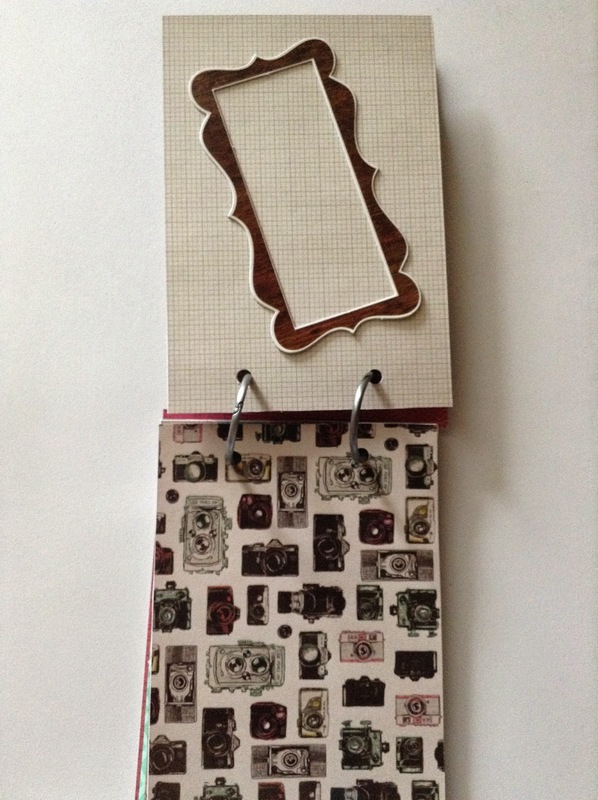 Plus, this was one of the first scrapbooking collections that I bought so I just thought that I should use it for the perfect project. So the time finally came to create something. What did I create? A mini album! 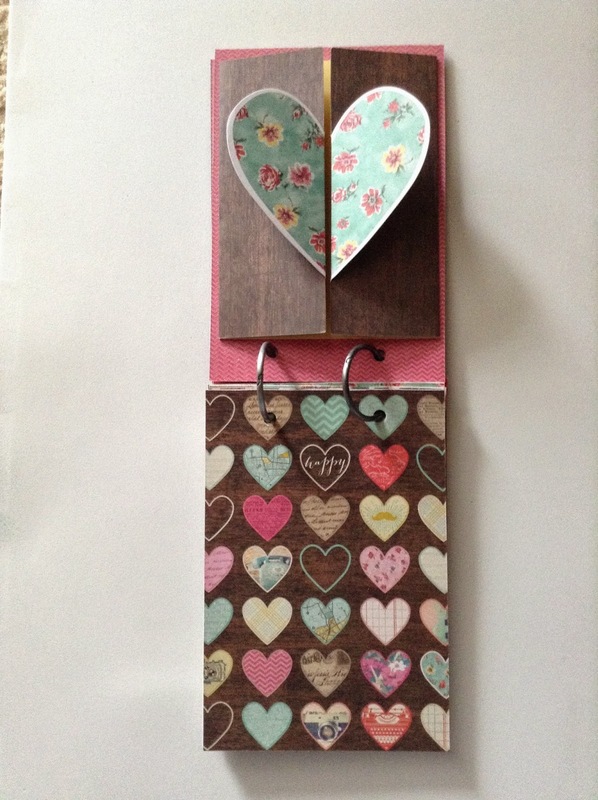 I love that the card opens up so that I can add extra pictures or journaling inside! I love that envelope! 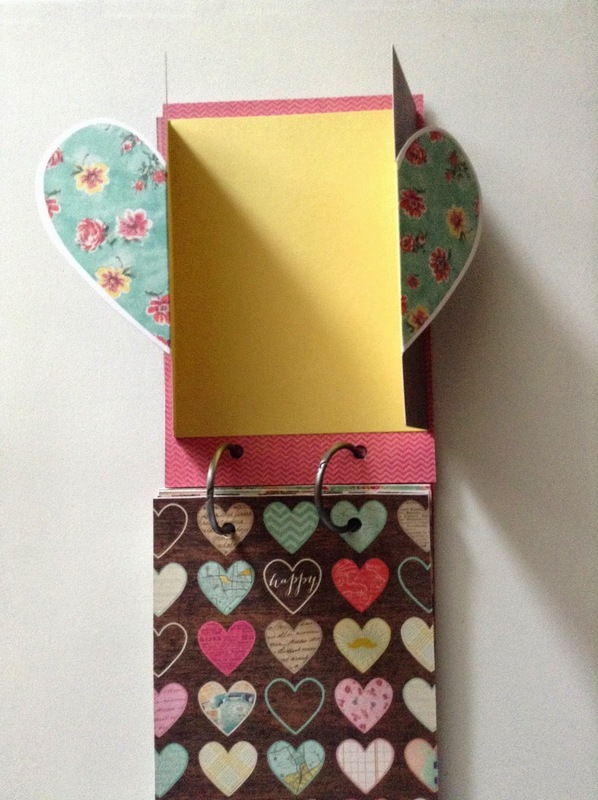 Just like the card that I used in my album, I love adding envelopes so that I can hold items like movie tickets, small notes, etc. I can't wait to fill this album up! Watching: The Walking Dead was just simply amazing and I just had to watch it again! I loved the scene where the group and Carol reunites and also when Rick and his son are reunited with baby Judith. Oh the feels! 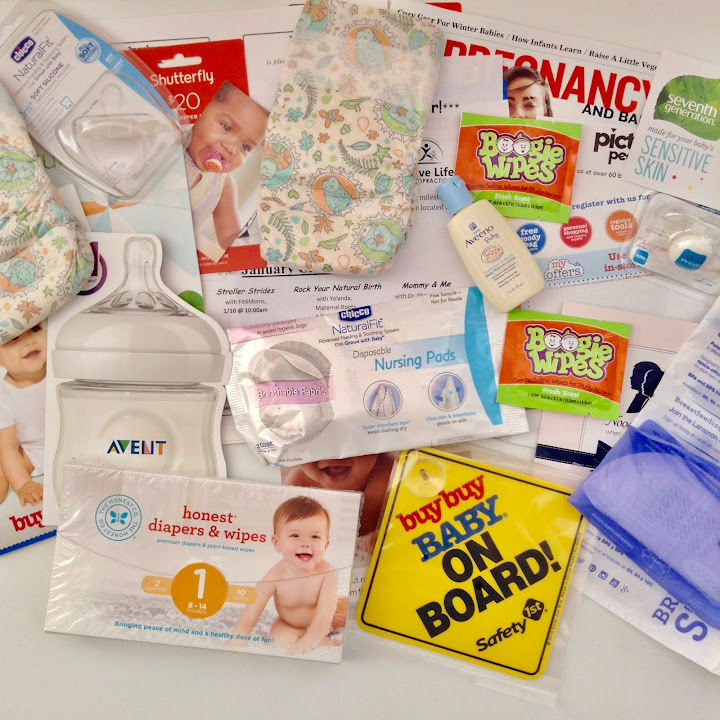 Reading: I love catching up on some of favorite bloggers' posts. I am also loving the PaperCraft Inspirations magazine (Issue 130). I wish I could find this magazine and other UK magazines often. It seems that the only place I can find them is at Barnes and Noble and the issues are sometimes a month or two behind. I just found out that there is a new issue (#132!!) out and I know Barnes and Noble won't get it for a while. Listening: Oh I love this song! Check the song out here. Making: I've been slowly working on my Project Life album and hopefully I can catch up by the end of the week. I only have to journal and work on one or two traditional layouts since I am doing a hybrid PL album. I also plan to make some Christmas cards with the free Paper Bow Card Kit that came with my PaperCraft Inspirations magazine. Feeling: It's raining and it's supposed to rain all day so of course, I'm really sleepy. Planning: I really need to work on my One Little Word. Luckily, I have been creating, I just haven't been working on my OLW album as much as I would like. Loving: I love my bed and my blanket. I seriously did not want to get out of bed. I have signed up to be on the waiting list for the Get Messy Art Journal Challenge and since the full time participants are supposed to post their pages on Thursdays, this means that I will have to change my Thursday Thoughts to another day. I'm not too sure what day, but I'm thinking maybe Monday will be a good day to post some random thoughts. Now I may do some double posts on Thursdays and include one Get Messy post and a Thursday Thoughts post, but that will be rare. I have started Christmas shopping again. I hope that I am done with Christmas shopping by at least Thanksgiving (hopefully before that). I really do not want to have to shop during the Black Friday and after that. I honestly do not know how people shop during Black Friday. I am still so excited for Halloween and everyday I get even more excited! I only need to buy some candy and I can not wait to put my son's class goodie bags together as well as the teacher cookie jars together! I know that we still have a few more months before the new year, but I actually am excited for 2015 and look forward to what will or may happen in 2015. I think I need a Disney movie marathon soon...maybe it will happen this weekend. That's it for today. What are your Thursday Thoughts? 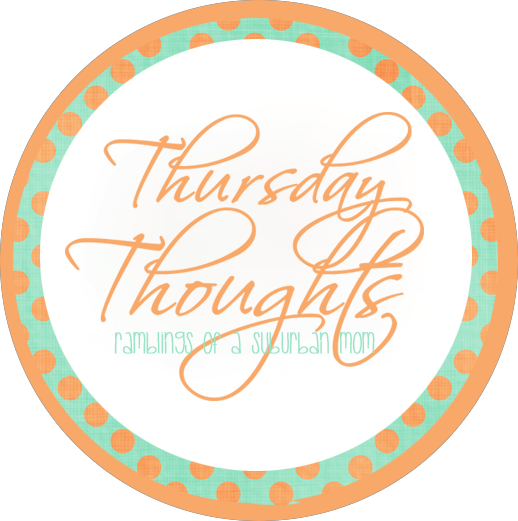 It's been a blast posting my Thursday Thoughts posts and I feel kind of sad that this will be my last regular Thursday Thoughts posts, but I am so excited to get started on my Get Messy posts. Be sure to check out my Get Messy posts. Watching: I had to catch up on several shows with Reina de Corazones being one of the shows that I missed yesterday. I seriously love this novela. I also need to watch the Supernatural special that came on yesterday. 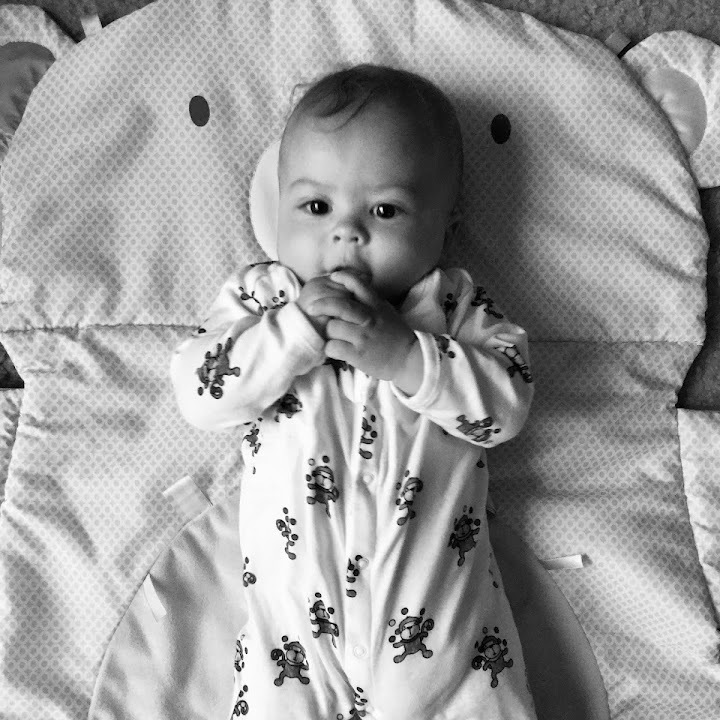 Reading: I didn't get to read some blog posts this morning so this afternoon, I took some time to read some blog posts from Amanda Rose, Rukristin, and Ramblings of a Suburban Mom. I also read some posts from Me & My Big Ideas as well. Listening: I still love this song. I think I listen to this song at least once a day. Making: So I bought a mixed media journal a couple of months ago, but only used one page to test out some of the new Heidi Swapp stencils and some of the mini mists. 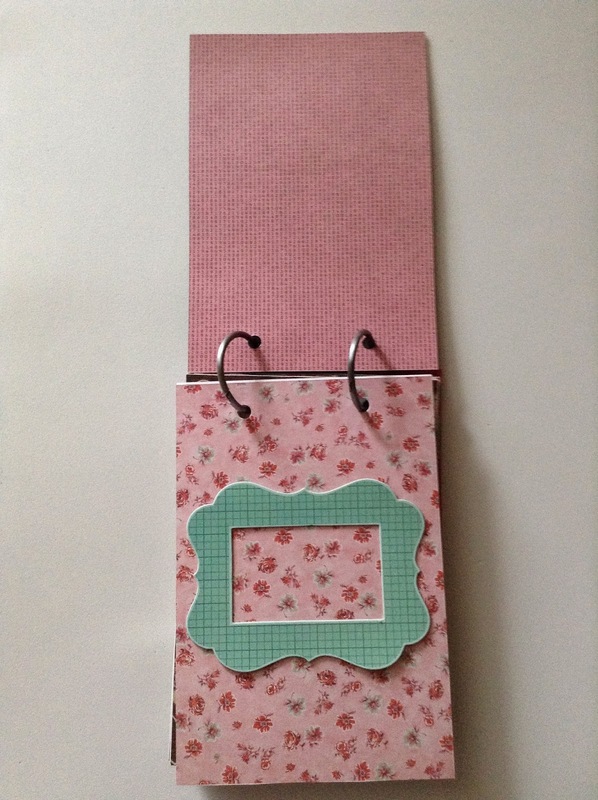 I found out about the Get Messy Art Journal Challenge on Amanda's blog and I plan to complete the prompts. 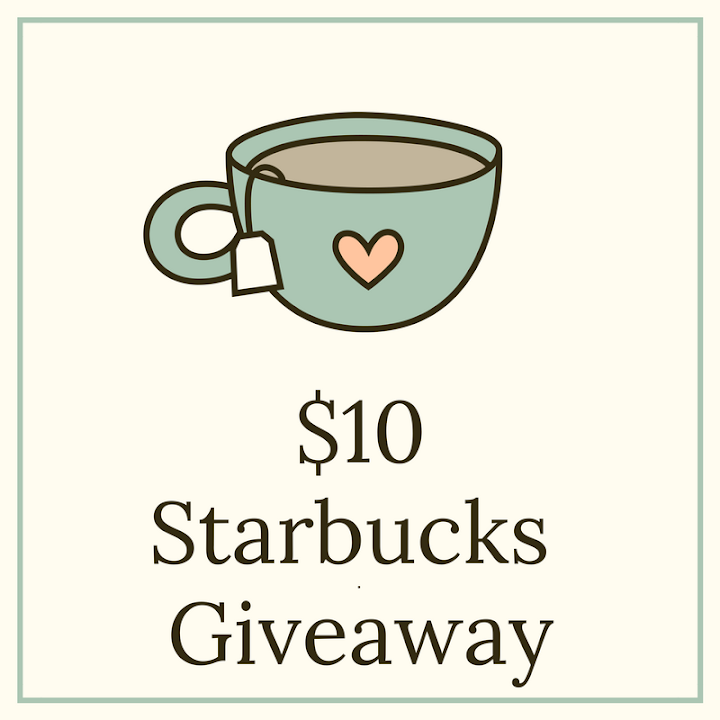 The challenge was created by Caylee Grey and Lauren from Lauren Likes. So basically, there is a prompt that is posted on the first Thursday of every month and you draw, paint, etc. in your art journal. Then there is a link up at the end of the month. More info can be found here. Feeling: There's just too much stuff that is annoying and stressing me out. 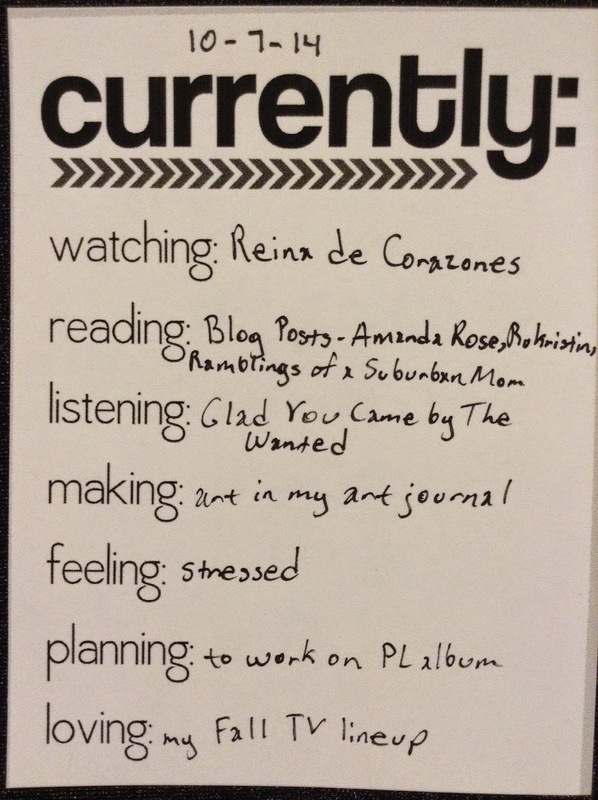 Planning: I plan to work on my Project Life album in the next few days. I have about two weeks to catch up on. Loving: Seriously my Fall TV lineup is awesome! Grey's Anatomy and Sleepy Hollow...pure awesomeness. Supernatural starts today and the Walking Dead will premiere soon. Ah...I love Fall! Hello there! So 30 Days of Lists ended on September 30th, but I didn't get a chance to post my last two lists so I thought I'd share them now. 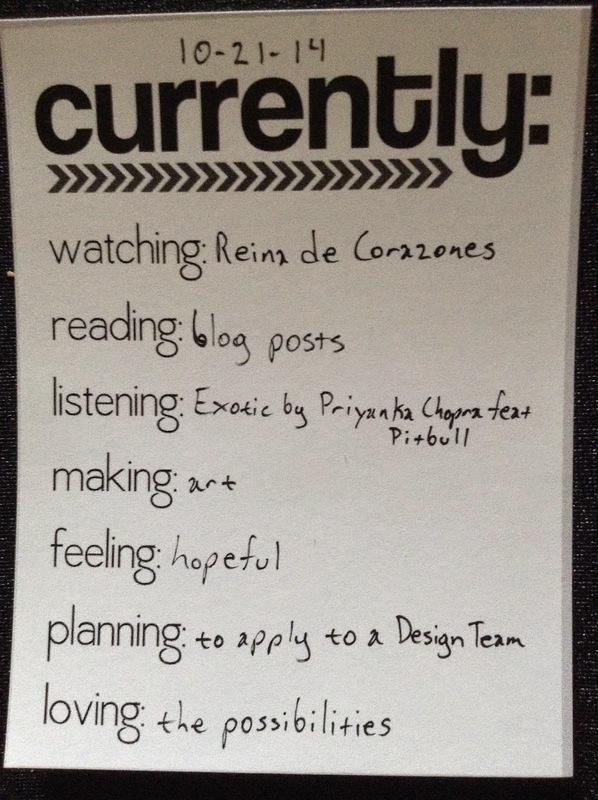 It seems that this time, 30 Days of Lists (and the month of September) went by really quick. 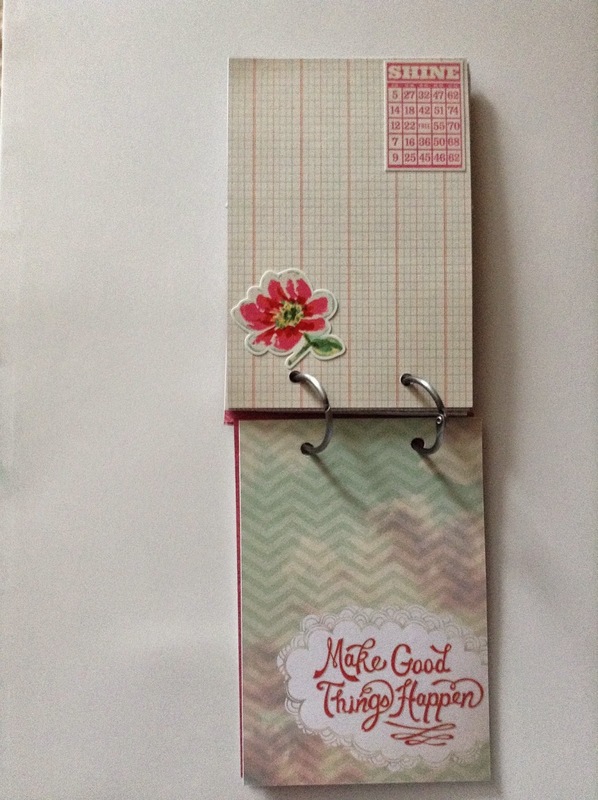 I had a lot of fun working on my lists and I'm glad that I decided to go simple with my book and on the embellishing. So those are my two last lists. 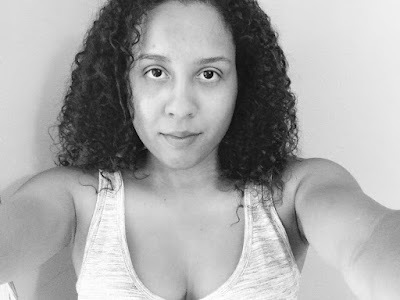 Again it's been so much fun working on my lists and I'm glad that I decided to sign up to be a sponsor this time. 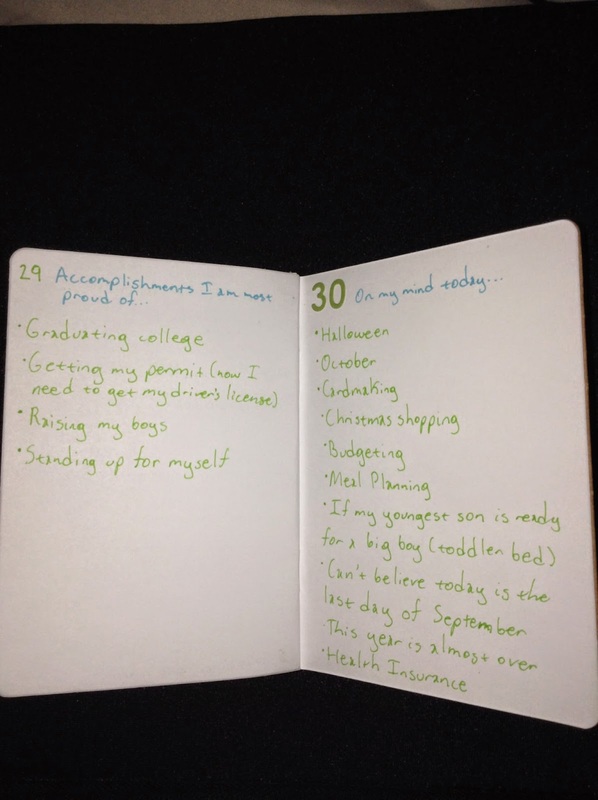 I can't wait for the next set of 30 Days of Lists! Hello there! It's time for another Thursday Thoughts! I'm so so so excited that it's October! I can't wait for Halloween either! All I need to do is get candy and I will be done with Halloween shopping! I can't wait for World Card Making Day! It's on October 4th and I already have some plans on what cards I am going to make! 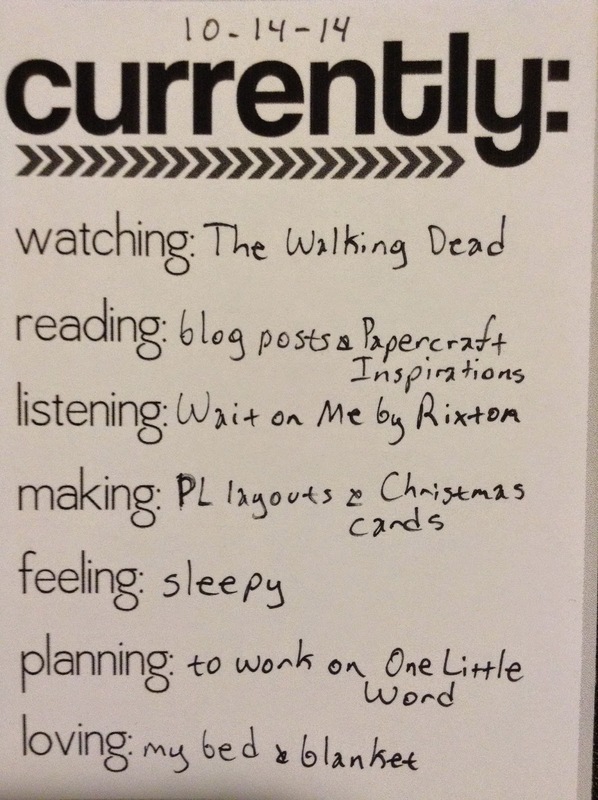 I even plan to submit some of the cards to a magazine! I'm so excited! I need to start Christmas shopping again. For some, it may be early (hell I used to think Christmas shopping in October was early), but now that I birthdays to deal with during the next few weeks and December...this needs to happen. I'm thinking about purchasing Copics or some other markers that are similar to Copics because I want to use them for card making. Is it too early in the month to drink hot chocolate??? No? It's not...good because I can drink hot chocolate any time of the year (even Summer). I love reading and hearing about how my friends are doing well and accomplishing their goals! I love when I get to read that people are getting jobs, getting married, and having kids. It always makes my day. And if one of them ever posts something that's not so good, I love encouraging them and trying to make them feel better. I'm actually starting to have a more clear idea of what career I want to have...and I'm both scared and excited. That's it for today. What are your Thursday Thoughts?